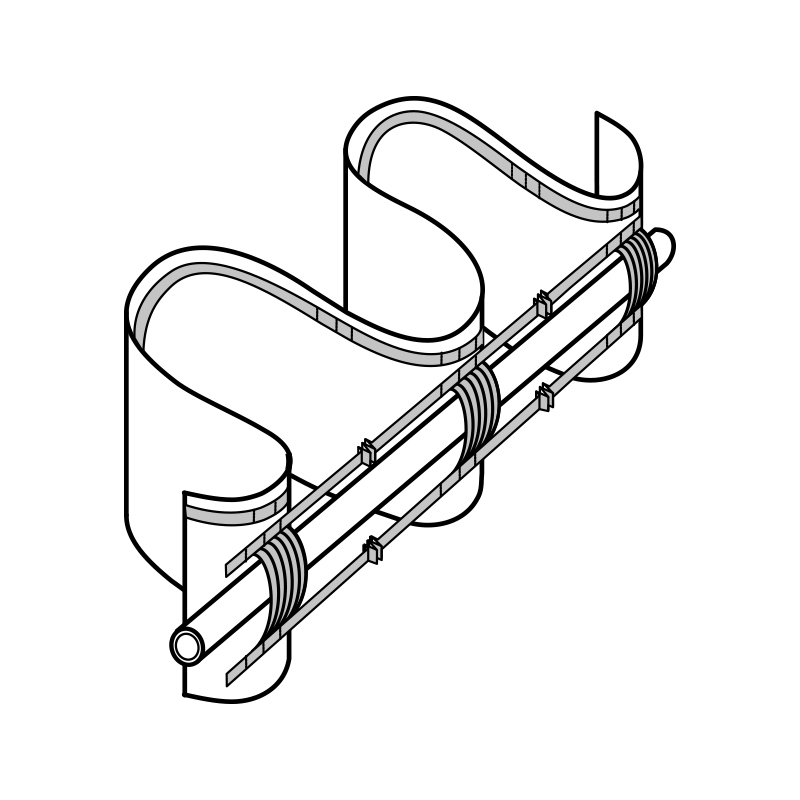 – with pin hooks, which are first stick in special pockets and then fastened to the rings or inserted in the rail. 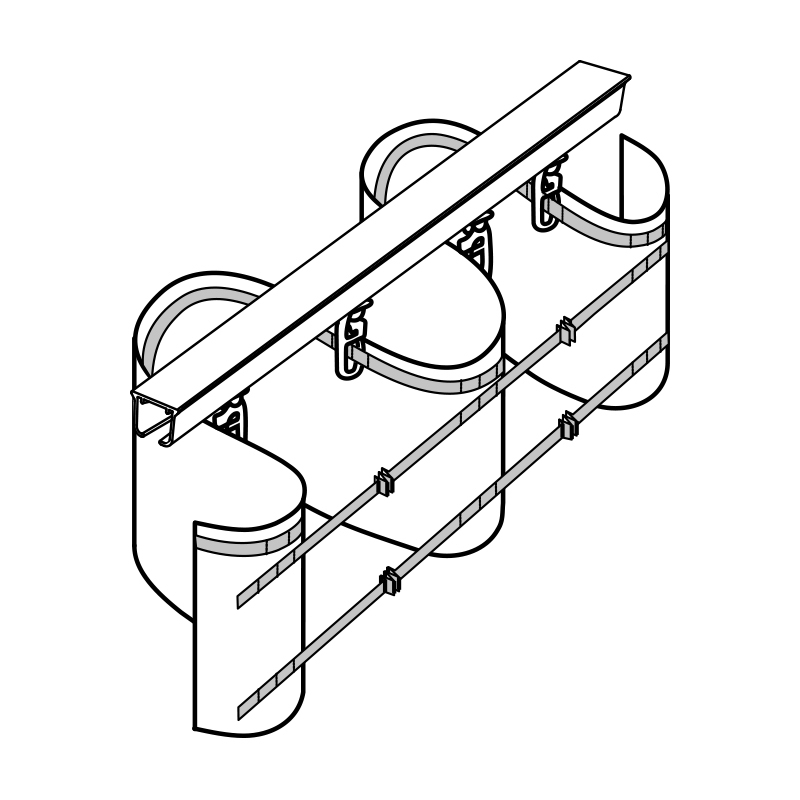 This system does not require (apart from the pin hooks) any additional elements such as wearstripes, fasteners or slides connected with a cord. 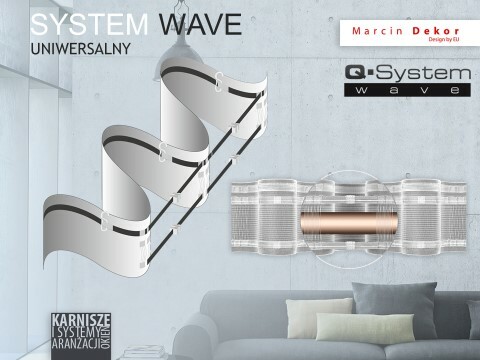 The traditional WAVE system requires special wearstripes, but this universal system uses a special drawstring instead of the traditional cord. 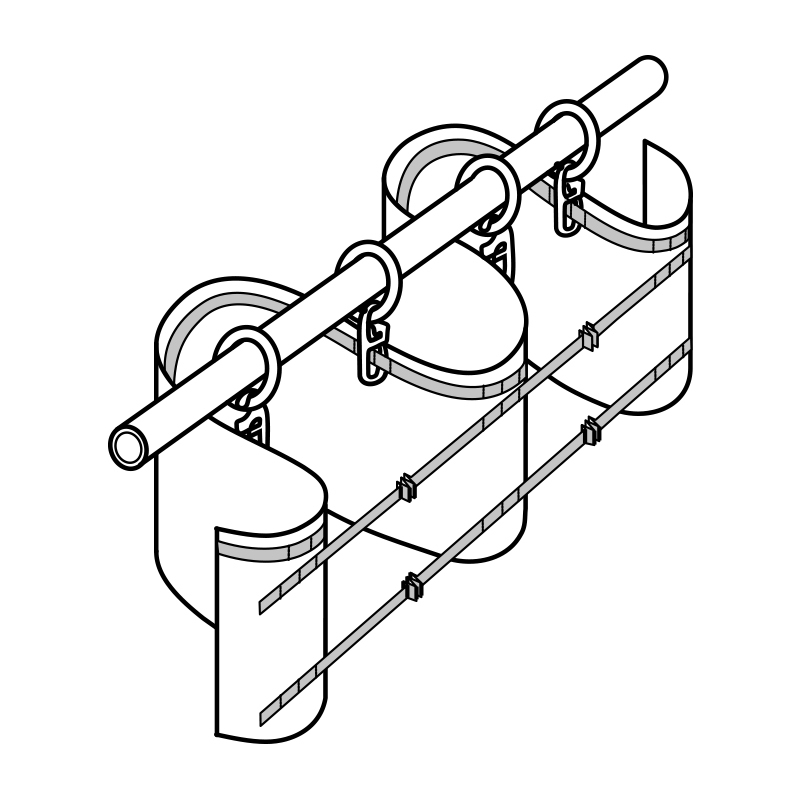 When we pull the drawstring, our tape gains a regular waving shape and does not draw aside. Specially marked pockets located in the middle of each wave, in which you insert the pin hook facilitate the installation and make creation of beautiful window decorations a fairly simple task. 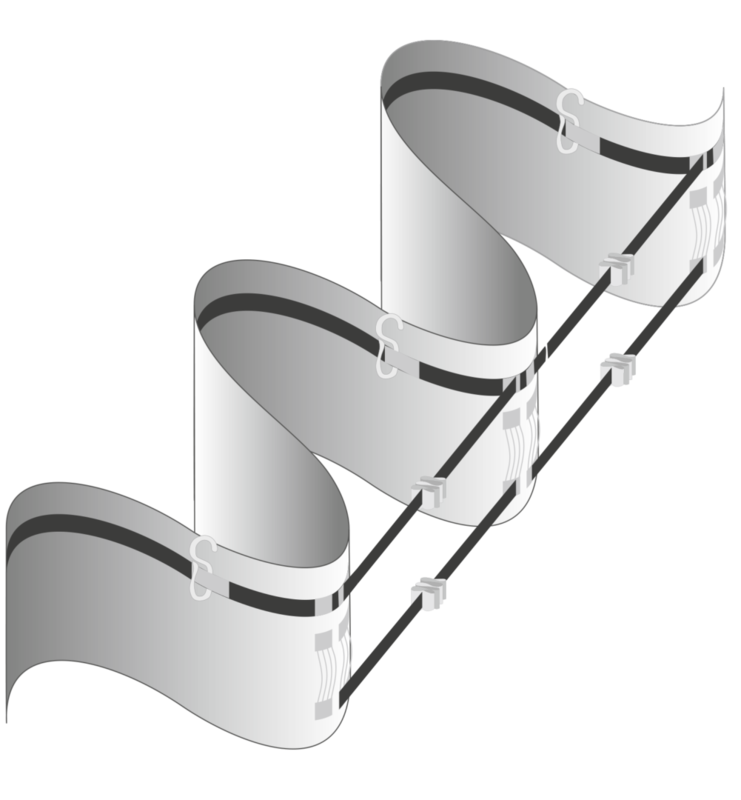 Due to that solution we do not have to lose time on trying to figure out in which pocket we should insert the pin hooks to make our wave look regular and natural. That is especially important for the final client, who is becoming more prone to value easy and practical use more than the final visual effect. The tape has 10cm in width. It is available in two fabric gathering proportions -200% and 250%.